J.G. Parks & Son, Inc. is an authorized Alliant Power Service Dealer. 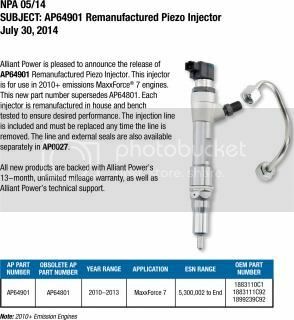 Alliant Power products consists of injectors, engine components, seal/repair kits & gaskets, starters, pumps, and fuel filters. These products are most popular on a number of Ford, GM, International and other various applications. 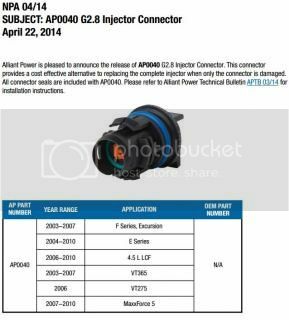 If interested in learning more about how Alliant Power products can help you, please request the Alliant Power Application Guide via our Contact Us form on our website. Be sure to reference Alliant Power in the message. The guide is in pdf format and can be viewed with Adobe Reader. The file is 5.2 MB in size. Contact a J.G. Parks & Son Parts Specialist for further assistance.